Binding	 Barking, Essex, 1994, blue quarter morocco gilt folding case, by Aquarius. Provenance	 1. Private Collector, Switzerland (-1993); 2. Christie's 7. 7.1993:38. 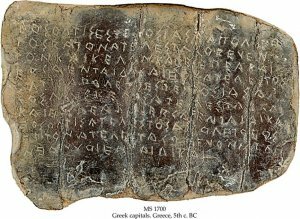 Commentary	 Curse tablets were used in the Graeco-Roman world from second half of the 6th c. BC to 5th c. AD. The lead tablets were folded and deposited in places associated with the underworld. The most common curses were prompted by participators in trials, victims of thievery, jealous lovers, and rival sportsmen. 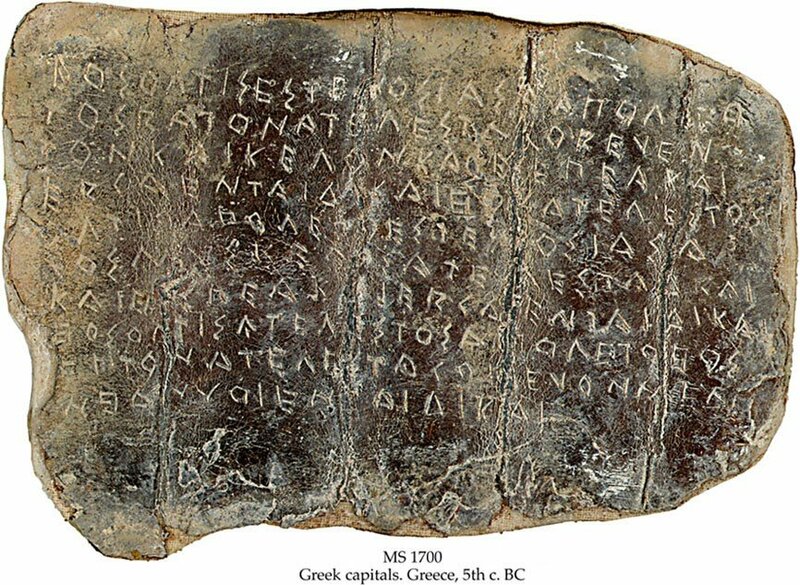 In a trial, like on this tablet, the curse is directed against the tongues of the witnesses or the prosecutor. Doric Greek is extremely rare in MS. Published	 Jordan, Rocca and Threattle: Una nuova Defixio dalla Sicilia (Schøyen Collection MS 1700), in: Zeitschrift für Papyrologie und Epigraphik 188 (2014) pp. 231-236.